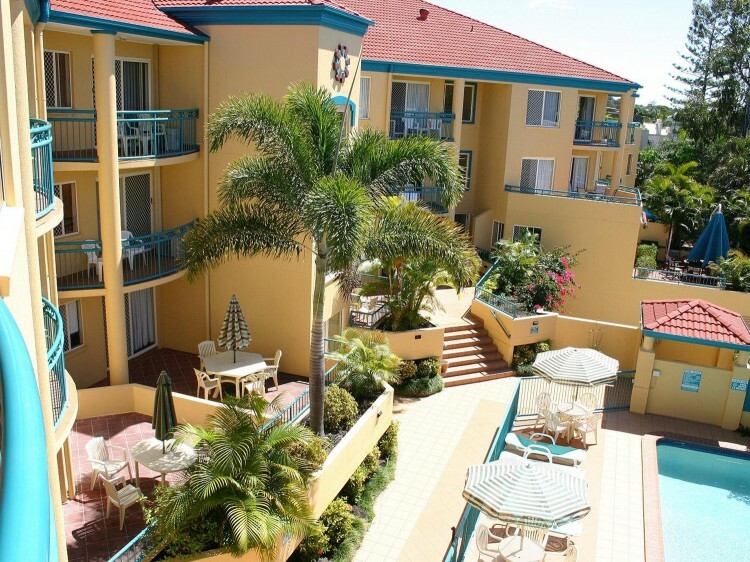 Paradise Isles offers comfortable and affordable one bedroom, fully self-contained apartments in a Mediterranean style, 3 storey walk-up complex. 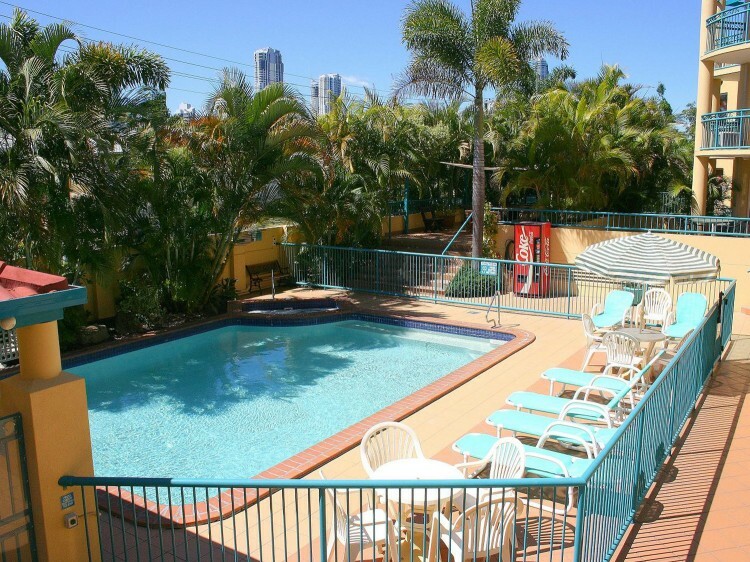 Just a short walk or drive across the Chevron bridge to the heart of Surfers Paradise and the best the Gold Coast has to offer. A solar heated swimming pool, spa and BBQ area are set amongst a lush garden setting. 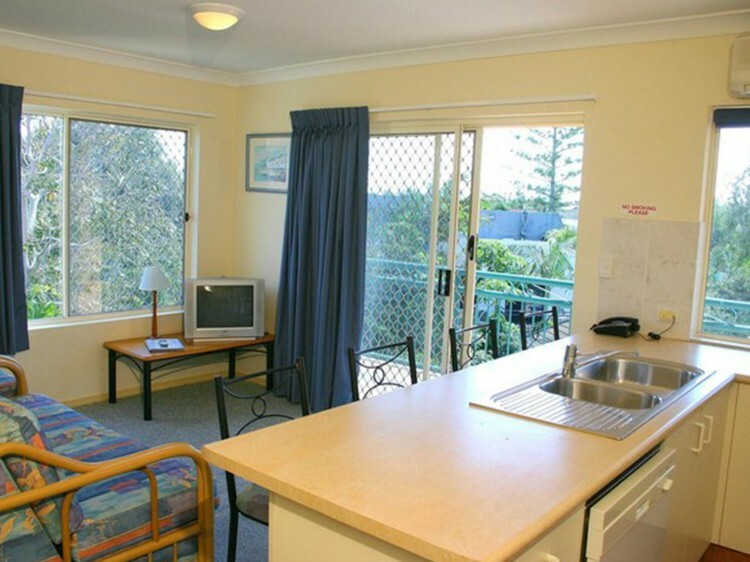 All apartments are air-conditioned and have free WiFi. 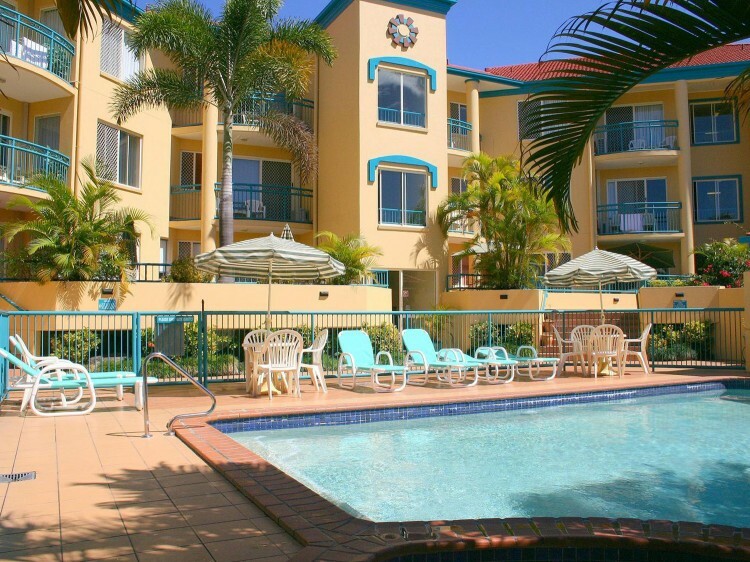 Chevron Island village is a 3 minute walk and an easy 12 minute walk into central Surfers Paradise.